Dr Lin Day, Founder of Baby Sensory (www.babysensory.com), discusses language and speech development in babies and infants with top tips on encouraging your child to say his first words. Speech and language development are complex life skills and yet babies can understand words and whole sentences long before they are able to talk. What is so extraordinary is that even babies up to the age of ten months have an amazing capacity to learn several different languages. Adults, however, have greater difficulty in managing the grammar and dialects of new languages because they are naturally accustomed to the sounds and codes of their native tongue. The drive between human beings to communicate is very powerful and babies develop many ways to express themselves before they utter their first words. Body language is one way in which babies communicate before the development of speech begins. Some studies have shown that teaching babies to use sign language enhances communication and enables them to develop a better grasp of language in general from an earlier age. Parents can also feel quite overwhelmed with joy when their babies are able to sign that they have a wet nappy, are thirsty, hungry, tired or are in pain. Language acquisition increases from simplicity to complexity throughout infancy, of course. A newborn baby, for example, communicates with eye contact, body language, mouth movements and different cries. By the age of three months, babies can read lips and understand the different sounds of speech. Babies also develop a delightful repertoire of gurgles, sighs, and coos. By the age of six months, they may produce repetitive syllables such as ‘da-da-da’. By the end of their first year, some babies have even mastered the ability to say a few simple words. Although all babies go through the same stages of language acquisition but its worth bearing in mind that every baby learns at a different pace. Some will produce their first word at ten months of age while others will not talk until they are 20 months or much later. The development of the brain pathways, genetic inheritance, maturity of the vocal apparatus, the ability to hear, the quality of care and ample opportunities to interact socially with other people all affect the acquisition of speech and language for babies. Children with weaker verbal abilities are much more likely to experience difficulties with literacy skills when they enter school than those who have been given high quality opportunities in early life. That’s why it is so important to provide an environment rich in language from the very beginning. There are many mental and social processes involved in speech and language development from birth to the end of a child’s first year. The most interesting and unique feature of language development is that up to the age of ten months, babies often have no difficulty in picking up the different speech sounds in the entire range of human languages. They can decode another language based on the rhythms, stresses and intonations of their own language and they can even differentiate between the individual sounds of another language, which adults cannot. It is only after months of repeated exposure to a certain language that babies seem to lose the ability to make distinctions that are not part of their native tongue. Therefore, the earlier babies are exposed to different languages, the easier it is to learn them. Signing is an intriguing and remarkable tool for the development of language. Parents automatically make eye contact, speak slowly and allow the baby time to respond, which promotes excellent interaction. Parents are usually very good at making sense of their baby’s rudimentary hand gestures and actions, which sets the stage for more verbal interactions later. Signing also allows the parent to communicate more effectively and the baby experiences less frustration when expressing his or her needs. Babies exposed to both spoken and sign language can become bilingual in single-word utterance and can switch from one system to the next with ease. Pointing, waving and clapping are special forms of social communication, which enable babies to convey a specific desire. For example, babies only point when someone is around to pick up an object and hand it to them. They never point when they are alone. Waving and clapping are also social signals, which indicate that certain levels of understanding have been achieved. Crying is the first and most effective form of communication. A newborn baby soon learns that crying will bring food or comfort. Each baby has a unique cry, which varies in rhythm, intensity and pitch. The type of cry can arouse specific physiological responses in the parent. This may explain why parents often rate cries of hunger and pain as more stressful than those of frustration and boredom. The hunger cry for example, is often very rhythmic, the discomfit cry may be more intense, and the boredom cry may stop and start. In return, the parent responds by feeding, cuddling or playing with the baby. In so doing, the baby learns that communication with the parent has been successful. Parents instinctively talk to their babies and adjust their speech accordingly. The style of speech, which involves the use of high-pitched sing-song sounds, which exaggerate and elongate the vowels (e.g. babyeee) is often referred to as baby talk or ‘parentese’. Other features include exaggerated hand or facial gestures and the use of short, simple sentences, which match the baby’s level of comprehension. Studies have shown that the special qualities of parentese can speed up the initial stages of language development. Taking turns is also a fundamental advancement in communication between baby and parent and is most noticeable during intimate moments such as feeding, cuddling and nappy changing. For example, the baby coos and the parent responds with enthusiastic vocalisations and body movements. 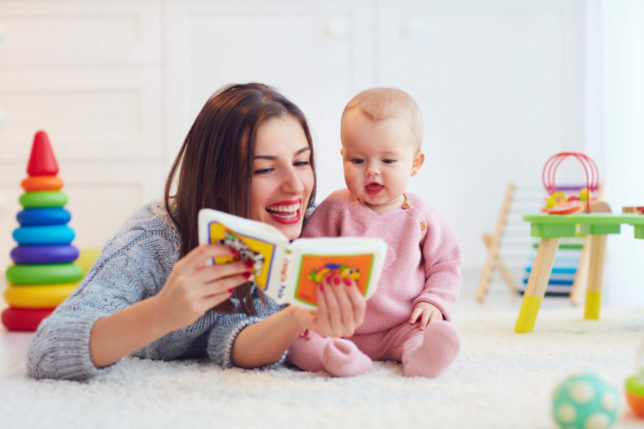 What is so interesting is that the baby actively studies the way in which sounds and mouth movements go together and gradually learns to expect specific words in response to specific situations. This hails the beginning of matching words to specific objects or events such as feeding or cuddling and lays the foundation for future social interactions. Babies experiment with their tongues, teeth, palate and vocal chords to make all sorts of funny noises. However, babbling, the use of elongated sounds such as ‘da-da’ and ‘na-na’, make up the first words that babies use when they start to talk. Babbling requires babies to make lower jaw movements and to bunch up their tongues in the front of their mouths, which they do naturally for feeding. Seventy per cent of sounds made by babies all over the world are made using these natural movements, although the sounds are gradually narrowed down to those of their native tongue. Babies (and humans generally) produce a wide range of sounds important for speech. This is because they have a vocal tract that consists of two linked tubes, which allow for a much larger repertoire of sounds than mammals that have a single tube. However, producing the first recognisable word takes a lot of practice and learning. Babies must control their breath, mouth shape and the muscles responsible for producing distinguishable sounds. Expanding memory also plays a role in the development of speech. First words are usually context-bound; the result of experience with favourite objects or people who are most familiar. Positive feedback from the parent gives the baby confidence to repeat words repeatedly. By the age of about 12 months, most babies can say one or two words with meaning and can comply with simple requests, e.g. ‘Give me your bottle’ or commands such as ‘Don’t touch!’ They also understand simple questions and can point to a few body parts when asked. Although first words may appear any time after ten months, timing varies considerably between individual babies. Much depends on brain maturity, control of the vocal apparatus and complex social interactions between the baby and the adults around them. The way in which the parent communicates and interacts with their baby will determine the path that language development takes in the future. Reduced social interaction between the parent and baby may lead to language delays and possible reading and writing issues when the child starts school. Parents can help babies develop speech and language skills during regular play activities, without adding extra time to their day. There are also plenty of fun things to do during planned play times. Talk to your baby during daily routine activities such as feeding, bath time and nappy changing. Listen to the sounds that your baby makes and respond with words of encouragement so that they know you are listening. Use simple speech that is easy for babies to imitate and allow them time to respond. Use parentese to encourage two-way interaction. Draw attention to objects and say their names. Make animal sounds – babies love them. Sing lullabies, songs and nursery rhymes to introduce new words and to encourage listening skills and repeat them regularly. Play turn-taking games involving signs or actions such as ‘Pat-a-cake’ and ‘Peek-a-boo’ and demonstrate pleasure at baby’s response. Read and re-read picture and story books that focus on sounds and rhymes. Introduce babies to large pictures and take time to name and describe them. Click here to read Dr Lin’s article on how to understand your baby’s cries. 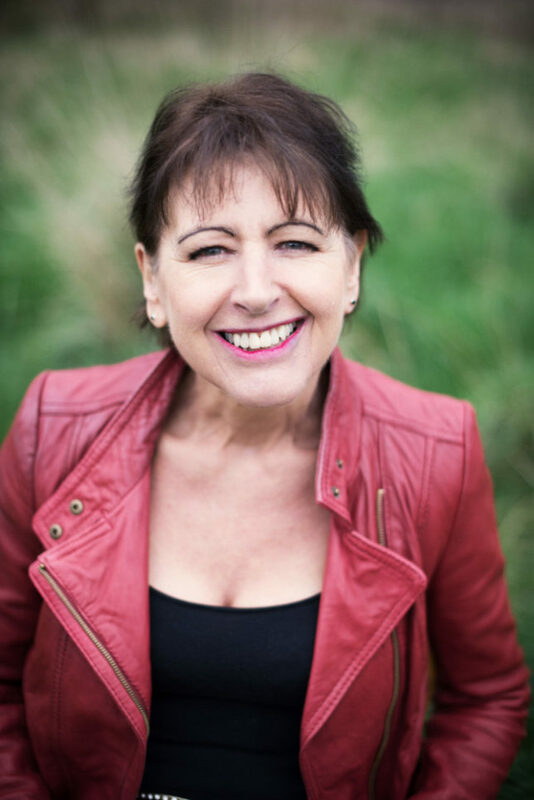 Dr Lin Day is the founder of Baby Sensory, part of the WOW World Group, which provides a diverse, exciting range of parent and child activity-based class experiences across the UK and overseas. Spanning seven different programmes, its adult classes are designed to equip parents with a variety of useful skills from first aid to preparing for life with a new baby. The fun-filled classes are designed to enhance early years learning and development while allowing parents to spend quality time with their child/children in a safe and established, nurturing environment led by qualified, knowledgeable class leaders. WOW World Group is a founding member of the Children’s Activities Association having gained international recognition for its programmes, which include Baby Sensory, Toddler Sense, Mini Professors, Reading Fairy and Photo.